They say no two Mickey Mouse heads are ever alike. J/k. They don’t say that. 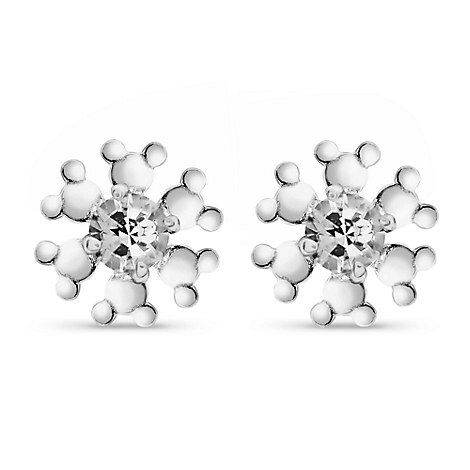 But one thing they do say is that these Mickey Mouse Snowflake Earrings are fabulous, and that’s one thing we can’t dispute. With a CZ in the middle and dancing Mickey heads all around, they’re sure to make you feel fab every time you step out the door wearing them. Now those are truly special snowflakes.